This chapter provides an overview of several approaches to International Diversity Management (IDM) for marketing departments striving for innovation. Approaches to IDM are explained and distinguished in two groups: four process and three structure approaches. Process approaches are IDM approaches that explain how diversity is considered in a model or perspective. Structure approaches are IDM approaches on how to act in an organization to deal with diversity. The four discussed process approaches to IDM are the following: the relational framework (Syed & Özbilgin, 2009), the diversity typology (Harrison & Klein, 2007), the Categorization-Elaboration Model (CEM) (Van knippenberg, De dreu, & Homans, 2004), and the social categorization versus the information-decision-making perspective (Williams & O'Reilly, 1998). The following three structure approaches to IDM are discussed: a conceptual IDM framework, the perspective approach, and the multicultural approach. 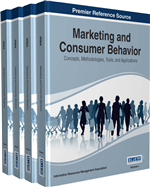 Then, two sections are dedicated to the suitability and relevance of the approaches to marketing. Finally, a retrospective view is given to the link between marketing, IDM, and innovation. The approaches, guidelines, and factors mentioned in this chapter provide insight into how IDM can be implemented to achieve innovation in the marketing field. Without the international component, DM is concerned with the management of similarities and differences of employees in the workplace in order to ensure a positive work environment (Patrick & Kumar, 2012). DM in the workplace can refer to personal aspects which may vary among people: gender, race, education, experience, cultural and personal values, work ethics, tenure, etc. These aspects may have an influence on the workplace, mainly due to differences in perception (Patrick & Kumar, 2012). Therefore, perceptions of diversity may have a strong influence on how diversity can be managed best (Garib, 2013). Successful DM can lead to an improved organizational performance (Özbilgin & Tatli, 2008). For example, research has shown that a higher amount of diversity in teams over time leads to a greater amount of creativity (Cox & Blake, 1991). Furthermore, diversity can lead to an increased level of innovation and the creation of new ideas (Cox, 1993; Knouse & Chretien, 1996; Milliken & Martins, 1996; Watson, Kumar, & Michaelsen, 1993; Wiersema & Bantel, 1992), increased productivity (Gonzalez & Denisi, 2009), a greater group effectiveness (Pettigrew, 1998; Knouse & Dansby, 1999), and an improved fulfillment of a wider range of tasks (Northcroft et al, 1995). Unfortunately, the lack of DM or badly implemented DM may lead to negative effects in the workplace. For example, research has shown that diversity can lead to a low level of cohesion and higher task conflict (Pelled et al. 1999), low commitment and low satisfaction (Jehn et al., 1999), poor communication and high conflict (Ancona & Caldwell, 1992), high level of competition (Thomas, 1990), and a low level of integration (Jackson et al., 1991; Blau, 1977; O’Reilly, Williams, & Barsade, 1989). Therefore, it seems diversity may lead to both negative and positive effects depending on how DM occurs. Consequently, these negative effects may have strong adverse and even obstructing effects on the creation of innovation as a diversity outcome.